Misurerebbe circa 4,10 mt e offrirebbe la trazione integrale solo nelle versioni più potenti. Non la trovo un'idea particolarmente brillante. Ultima modifica di daimlerchrysler il dom feb 17, 2019 5:55 pm, modificato 1 volta in totale. potrebbe essere la sostituzione della A1. che magari come suv potrebbe vendere meglio? La nuova A1 è già certa per il 2018, questa Q1 potrebbe affiancarla nel 2018. 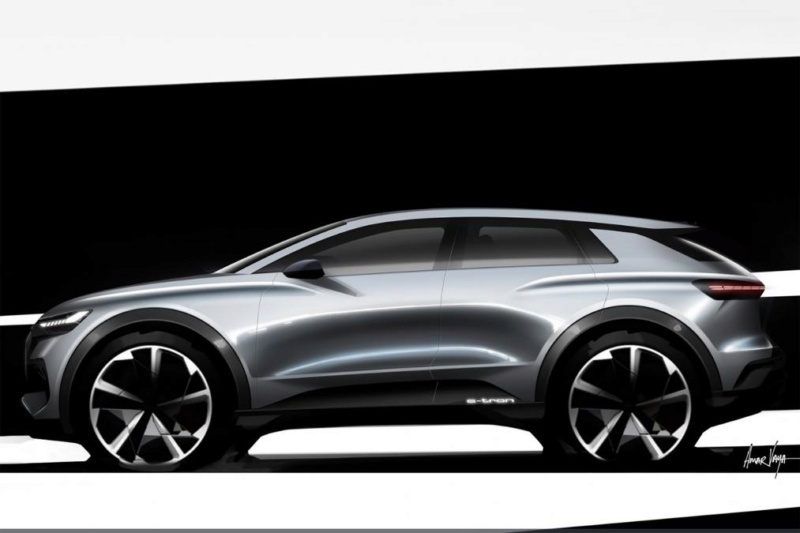 Ci si dovrebbe chiedere che esiste a fare la Q2, e´anche lei una versione suv della A1. Q1 suv Q2 crossover? Non trovo altre giustificazioni, e già questa è forzata. la nuova A1 sarà completamente diversa, quello è sicuro. è vero che vw sta valorando anche sui mezzi segmenti, t-roc ne è l'esempio. ma il rischio di sovraffollare i listini è evidente. meglio meno prodotti, ma fatti come dio comanda. tranto tra motori e allestimenti le forbici listino ormai sono enormi. 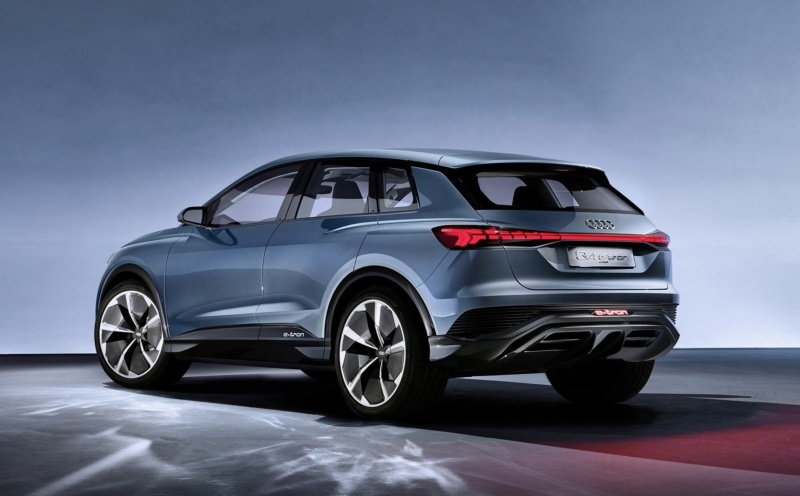 Audi’s SUV range is set to continue to grow apace, with a new baby Q1 SUV expected to be given the green light for production, Auto Express can reveal. This new entry point into Audi SUV ownership is still a few years away from production, although it should be here before the end of 2020. Unlike upmarket rivals BMW and Mercedes, Audi has pedigree when it comes to producing premium cars at a lower price point. The A1 supermini has been around since 2010 and is continually one of Audi’s big sellers in Europe, shifting almost 100,000 examples every year. When asked about the prospects for a Q1, Audi sales and marketing boss Bram Schot told Auto Express: “You cannot ignore the SUV trend; the question is how wide and how deep do we make the programme with SUVs? 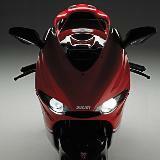 “Depending on the business opportunities, we decide on the future product portfolio. But don’t be surprised if in two or three years you do see the car, as we try to react fast to markets,” the Audi executive added. The German brand is likely to use the next version of its popular A1 supermini - spied during winter tests - as a base for its upcoming baby SUV. The second-generation A1 arrives at the end of this year and will share a large proportion of its DNA with the Q1, along with some of that car’s styling, as shown by our exclusive image. Both new models will be based on the smallest version of the Volkswagen Group’s MQB platform, which is already found beneath the skin of the latest SEAT Ibiza and VW Polo. That means the Q1 will use the latest generation of petrol and diesel engines, which will include a three-cylinder 1.0-litre turbo petrol, a more powerful 1.5-litre unit, and a 1.6-litre diesel. By the time the Q1 arrives, mild hybrid technology will also have started to filter its way down through Audi’s product line-up. The flagship A8 saloon introduced the system, which uses a small starter-generator to assist the engine during acceleration, boosting performance and efficiency. The A8’s set-up may be too pricey for a car of the Q1’s size, but Skoda used Geneva to show off an MQB A0-based system, again featuring a 48V starter-generator, that could be suitable. The Q1 won’t be the only new SUV from Audi in the next few years; the German brand has already confirmed a flagship Q8, which will fight it out with the Range Rover, and an all-new Q4. On top of that, high-performance versions of the brand’s Q5, Q8 and next-generation Q3 are also in the pipeline. Secondo autoexpress Audi avrebbe l’intenzione di proporre la Q1 su base MQB entro il 2020. Imho tra Q2, Q1, A3 e A1 il rischio di pestarsi i piedi sarebbe forte. 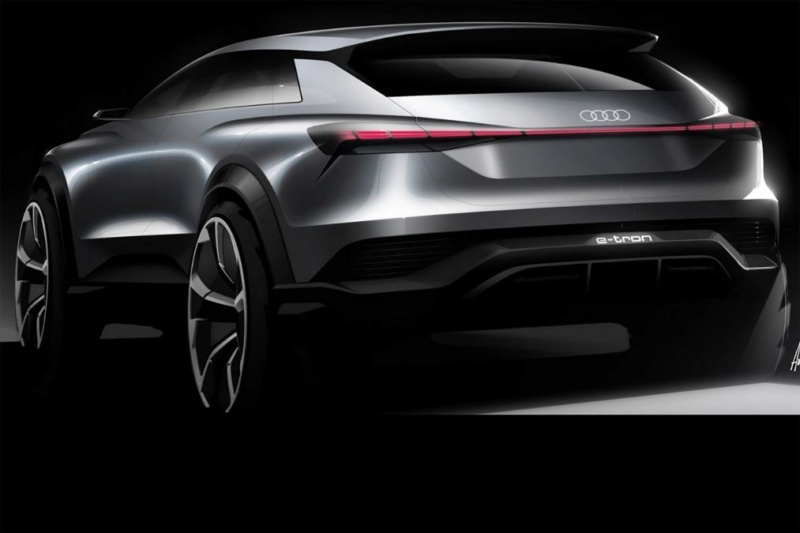 Audi ha annunciato 3 auto elettriche entro il 2020, la prima è già stata presentata e nel 2019 ci sarà la versione coupe’ della E-Tron. La terza sarà su pianale MEB, secondo autobild sarà questa q1 elettrica, pensata principalmente per Cina ed Europa. Audi will preview its upcoming entry-level electric hatchback with a concept car ‘in a couple of months’, bosses have revealed to Auto Express. The A3-sized EV hatch will be a rival to the likes of the VW I.D. and Nissan Leaf, and be one of 12 fully electric Audis launched by 2025. Speaking at the LA Motor Show Audi’s head of exterior design, Andreas Mindt, told us that future electric Audis would stick with a more conventional design so to not alienate potential customers. 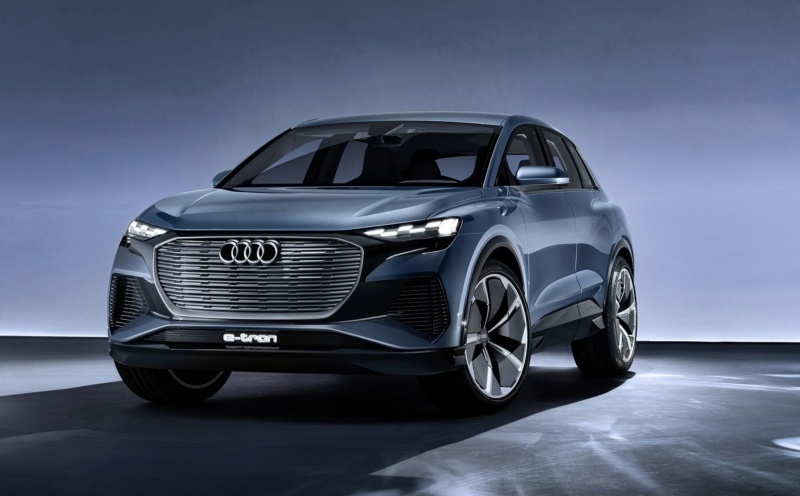 Audi has access to a range of electric vehicle platforms; the e-tron SUV makes use of a modified version of the MLB platform that underpins the Q7 SUV, while the new e-tron GT concept that was launched at the LA Motor Show shares its J1 platform with the upcoming Porsche Taycan. over 370 miles is being targeted. Audi presenterà nel primo trimestre 2019 (penso a Ginevra) una concept prefigurante la prossima Q1 elettrica. La base sarà la MEB e verrà prodotta a Zwickau nello stesso impianto della I.D. a 5 porte. Audi si aspetta volumi significativi da questo modello (giusto per metro di paragone la E Tron e la E Tron coupè dovrebbero vendere circa 30.000 auto l’anno). concept version of Audi’s upcoming compact electric car will be revealed early next year, before going on sale at a similar time to the E-tron GT. 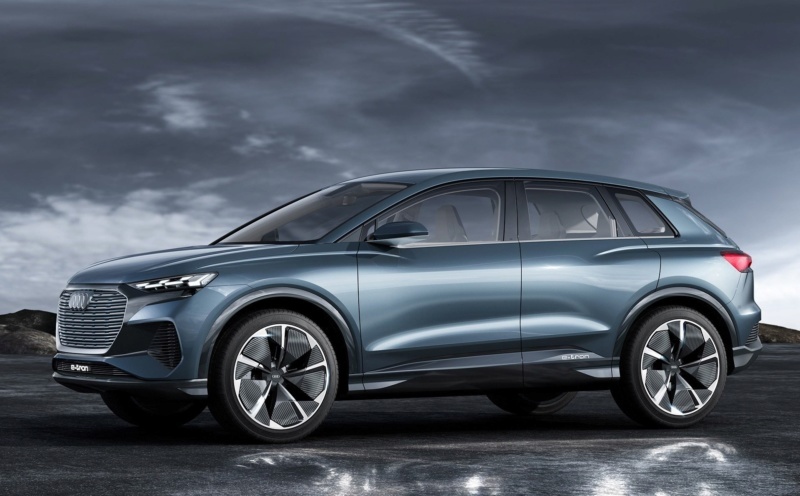 La C-suv elettrica sarà come lunghezza compresa tra la Q2 e la Q3, diversi stilemi proverranno dalla E Tron appena lanciata. 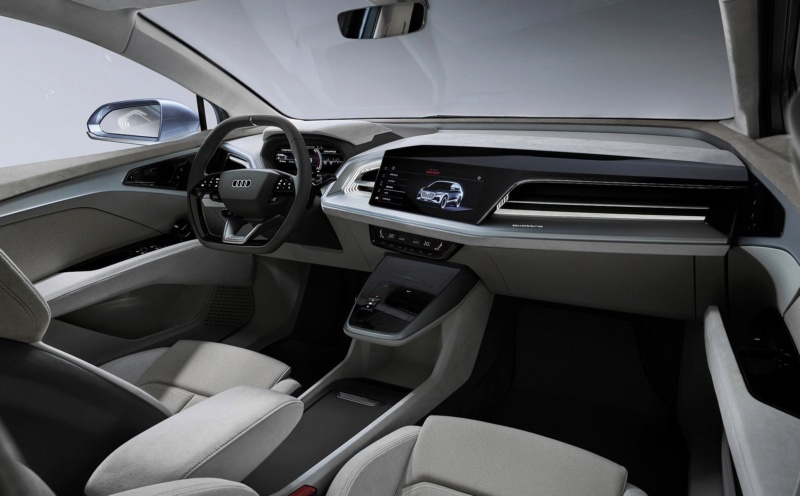 Autobild svela il design della prossima C-suv elettrica di Audi, il pianale sarà l’ MEB, infatti sarà prodotta insieme alla I.d. Verrà svelata al salone di Ginevra, il lancio commerciale avverrà nel 2020-2021. Trovo il design molto azzeccato. 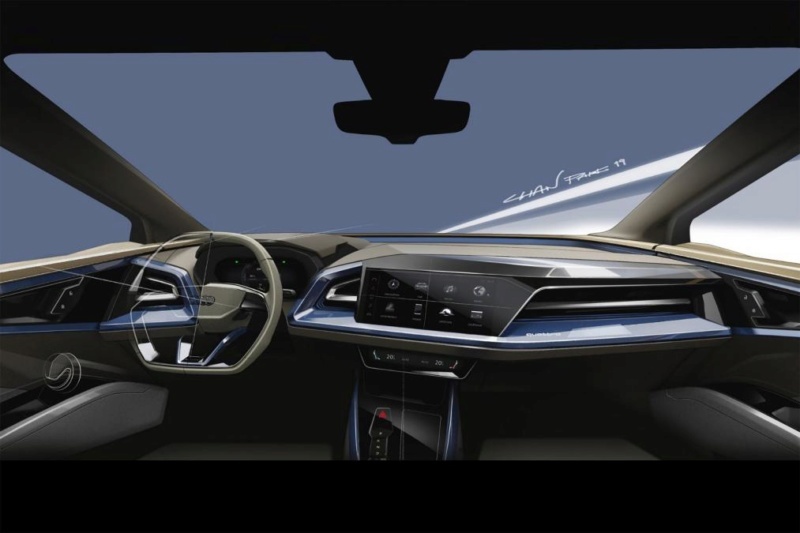 Audi ha confermato la presentazione della concept per una suv compatta elettrica, sarà un modello importante per l’Europa perché sarà il primo modello elettrico della casa con volumi significativi. E’ ancora una ricostruzione, ma rispecchia la concept al 100%. Inizio vendite fine 2020-inizio 2021, prezzo base 40.000 euro, lunghezza 4,5 mt. Autonomia a seconda delle versioni tra i 400 e i 600 km. Sarà solo a trazione integrale (la I.d. della Vw sarà a trazione posteriore).